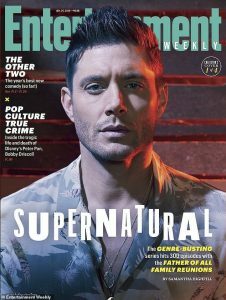 Dean may have his daddy issues, but it all comes out in the 300th episode of the long-running monster-hunting show on CW, SUPERNATURAL. 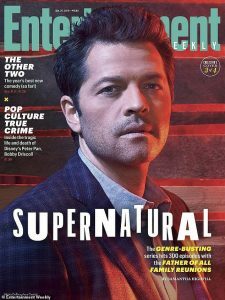 And Entertainment Weekly (which, itself seems to have its own long-running love affair with the show) has the scoop–of course. 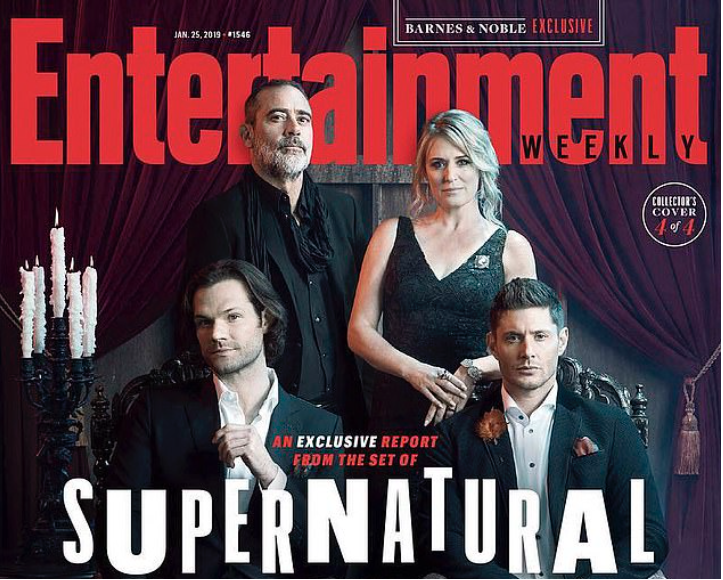 The multiple covers are sure to get the online crowd churning, featuring stars Jared Padalecki, Jensen Ackles, Jeffrey Dean Morgan and Samantha Smith. 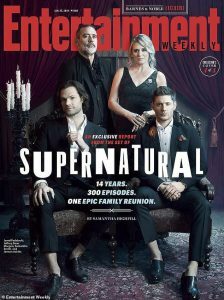 Supernatural premiered on The WB in 2005 and has since become the longest-running show in The CW’s history. 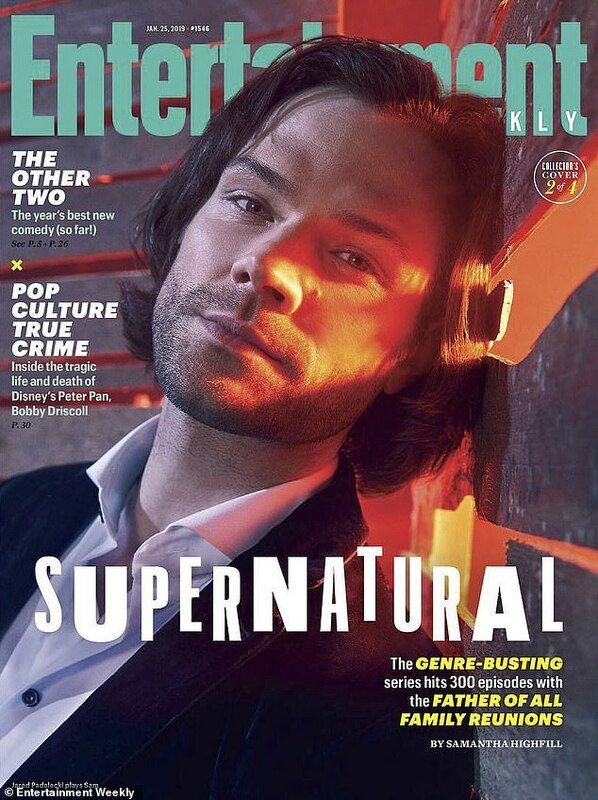 ‘In the beginning we almost mischievously wanted to see what we could get away with,’ [Eric] Kripke says. ‘There weren’t a lot of genre shows on The CW. It was mostly Gossip Girl and 90210. We were always like the goth kid at the back of the class that no one really wanted to pay attention to. So on this little weird horror show, we really got to push some boundaries that hadn’t been attempted in TV. There was no one saying, “That’s too crazy.” So they took risks. Now in its 14th season, the show may be showing some slight signs of age, but it still ranks as one of the CW’s top-rated shows, and the fans–those crazy, crazy fans–are super devoted. 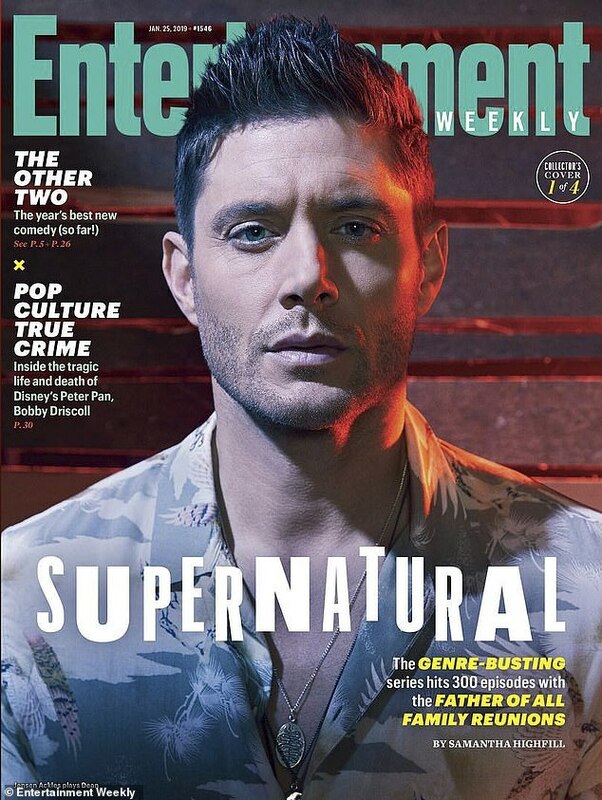 Supernatural is one of the most popular fan-convention shows out there. Check out one of these fan conventions to find out. 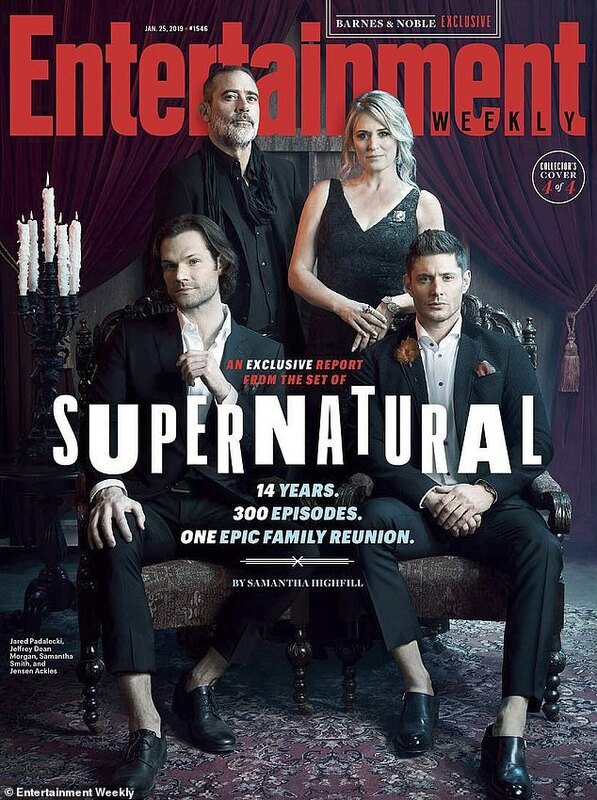 Nov. 1-3, 2019 – Supernatural Official Convention – Washington D.C. Here are the Entertainment Weekly Covers.